Kills on contact in a no-mess, non-staining, and water based aerosol formula. 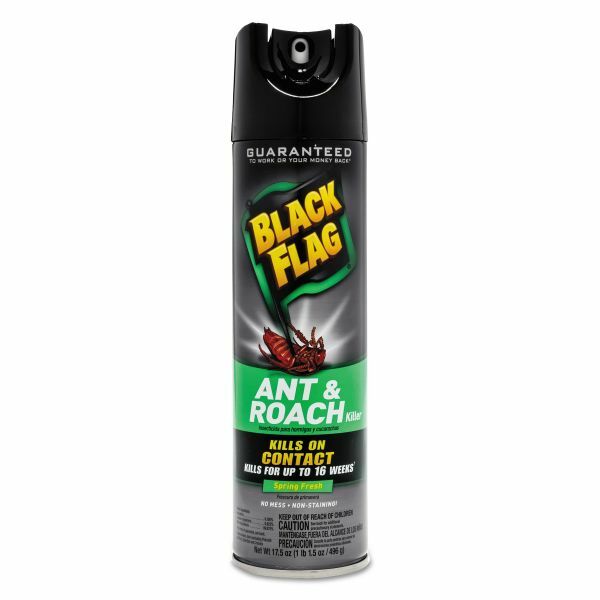 Kills cockroaches, ants (excluding pharaoh and fire ants), spiders, crickets, firebrats, silverfish, fleas, brown dog ticks and carpet beetles for up to 16 weeks. Spray areas along baseboards, under sinks, refrigerators, stoves, dishwashers and other places where roaches live and hide. 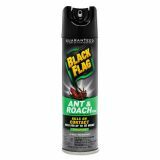 Diversey Black Flag Ant & Roach Killer, 17.5 oz, Aerosol - An easy-to-use spray that kills on contact in a no-mess, non-staining and water based aerosol formula. Protect your facilities and prevent an infestation from ants and roaches with a full coverage solution. Gets rid of cockroaches, ants, silverfish and crickets for up to 16 weeks.